The Burtis Blue Turquoise Mine (formerly operated as Florence Mine) has been mined since 1938. 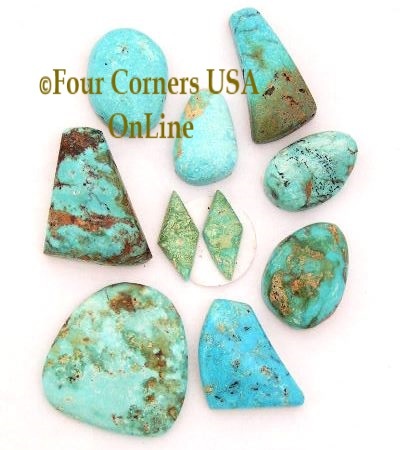 The mine produces a variety of color from blues to greens and the cabochons we offer are all natural. Burtis Blue Turquoise has a mohs hardness of 7-8 therefore stabilization processing is not necessary making it desirable for various applications including stone setting and wire wrapping. American USA Turquoise Mines.